This product is supposed to tame your mane in one minute or less. Here, we put it to the test. Most of us at Health have pretty low-maintenance hair routines. 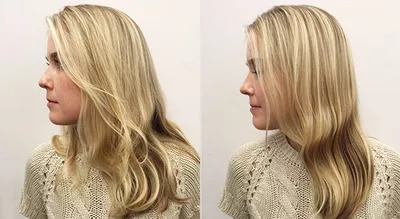 While we don't begrudge anyone for spending lots of time on their 'do, it's just not realistic for many of us—and we're willing to bet, many of our readers—to perfectly blow dry and style our hair on the daily. So, when Colorwow's One-Minute Transformation Styling Cream came across our desks we were intrigued. The formula is made with a blend of humectants (moisturizers) that penetrate hair to replace the natural oils you lose from heat styling or other stressors (brushing, washing, etc.). It can be used to smooth frizzy areas or with a blow dryer to quickly restyle your 'do. But could this really tame your mane in a minute? Two Health staffers with different hair types tried it. Here are their one-minute-later results. My hair is very thick and naturally wavy. I am easily prone to frizz and therefore I'm always looking for smoothing products, but so often these can leave my hair looking greasy rather than sleek. So I was pretty skeptical, but this product actually left my hair feeling and looking healthy with a natural gloss. The first thing I noticed was how shiny my hair became. After applying the cream all over, I brushed it out and my hair became smoother. I usually only brush my hair when it's wet post-shower, so I was pleasantly surprised my hair didn't turn into a huge fluffball (usually I look like this rabbit). I liked that it didn't straighten my hair, but rather seemed to highlight my natural waves and give them more definition. It's a lightweight cream that didn't weigh my hair down, either. I would definitely use again for a night out when I want to look more polished without putting in the time. When it comes to my hair routine, I like to keep it pretty simple: shampoo, condition, blow-dry. On this day, I let my hair air-dry and put it in a bun so I could see how well the product smooth out the kinks my bun had made. As someone with naturally oily hair, I tend to stray away from putting extra product in my strands. But this lightweight cream went on smooth without leaving my hair in clumps. Because of my oily nature I made sure to keep it on the ends of my strands where my hair is the most dry. Since my hair is pretty straight on it's own, I can't say I'll be using this every day. But if you're someone who has hair that likes to put up a fight, this cream will help you tame your strands fast - and leave them looking (and feeling) silky smooth!